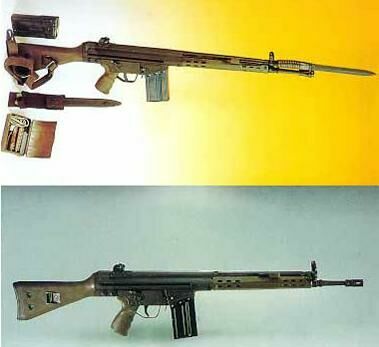 The G3A5 is an iranian copy of the german HECKLER&KOCH G3A3 battle rifle. It fires the .7'62x51mm-NATO cartridge, feeding from a 20-rounds clip. It features a S-1-20 trigger group, a fixed polymer buttstock and a ventilated handguard. It is the standard long weapon for the Iranian Army.